In the culture of the Internet, every organization needs to have a visual identity and a tag line. At the CTDA we are developing that visual identity a little at a time. Our first step was to create the minimalist wordmark that was our acronym. This minimalist approach was purposeful. 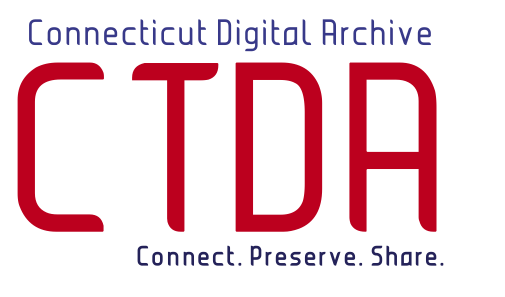 The CTDA is meant to be a service and a resource that others use to preserve and make available their digital material. We wanted something that said who we were but didn’t require a lot of interpretation and did not compete with the content that the CTDA would deliver through the various presentation layers that would leverage CTDA content. As we began working with partners beyond our small implementation group, we found that of course no one knew what CTDA stood for, and in a world of silos and “complete solutions” people did not immediately understand what services we provided. We are happy to explain that the CTDA is not a destination, but a service that organizations use to preserve their digital content and to make that content available to many presentation applications. The CTDA doesn’t itself own any content, rather it is a means of connecting organizations to preservation services so that they can share those resources with each other and the world. As this understanding became clearer in our own minds, we got to thinking about how to better express our new sense of the service in a sound bite. We decided that we would alter the wordmark and add a tagline that succinctly explained us. Easier said than done. After much debate and discussion we chose the three words you see above: Connect. Preserve. Share. Our mission is to Connect participants to preservation services,. We Preserve digital content and metadata for the long term, and we make it possible to Share that content with each other, and with national aggregators like the DPLA. So there you go. I just took 300 words to say what we hope our tagline says in just three. The UConn Libraries and the UConn Co-op Bookstore at Storrs Center welcomed Norman H. Finkelstein to campus last night for a talk about his new book Schools of Hope: How Julius Rosenwald Helped Change African American Education. After listening to the story of Rosenwald, it is clear to me why Norman was so compelled to write the story. Julius Rosenwald is relatively unknown in name before you hear that he was the man responsible for the early 20th century success of the Sears, Roebuck Co. But what may be even more surprising and arguably more impressive was his commitment to improving education for African Americans at a time when discrimination was a way of life. 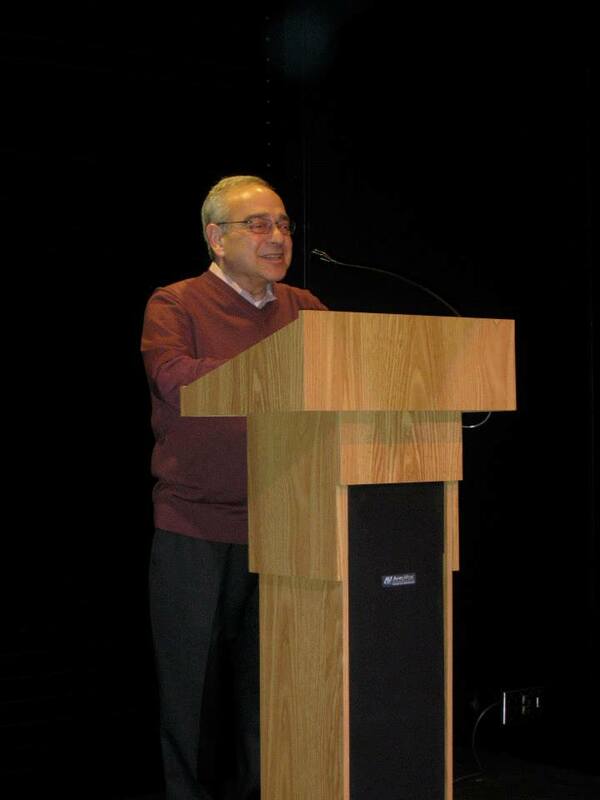 Finkelstein educated the audience on the type of person that Rosenwald was and the friendship between himself and Booker T. Washington that changed history. Washington, the famed African American educator, asked Julius Rosenwald to help him build “well-designed and fully equipped” schools for black children. The result was a clearly defined road map of building specifications, including details like what became the trademark large windows to utilize daylight, and the necessary financial support through a foundation with a philosophy that engaged that same community in the fundraising efforts. Over the 20 year period more than 5,300 schools attended by 600,000 black students were built. Many are still standing around the country today thanks to a movement to preserve these sites. The book, available at the UConn Co-op is a fact-filled publication for young adult readers. It is bursting with amazing images, quotes and a detailed bibliography that helps tell the story of this unique alliance and how it changed the course of educating African American students in the early 20th century. Norman Finkelstein is no stranger to children’s books or the UConn Libraries. Recently retired as a public school librarian, Finkelstein is the author of eighteen nonfiction books for adults and young readers. Two of his titles, Heeding the Call and Forged in Freedom won the National Jewish Book Award. His biography of Edward R. Murrow, With Heroic Truth, received the Golden Kite Honor Award for Nonfiction. His archival collection including manuscripts, proofs and other editorial materials are a resource offered as part of the Northeast Children’s Literature Collection. His donation yesterday will allow for us to include the materials created during the 4+ year process of creating Schools of Hope. These types of events are always fun for us. It allows us to connect with our donors and learn more about the stories that are important to them. Yesterday also gave us the chance to check out the new UConn Co-op in Storrs Center. If you haven’t had a chance to visit them yet, please do. 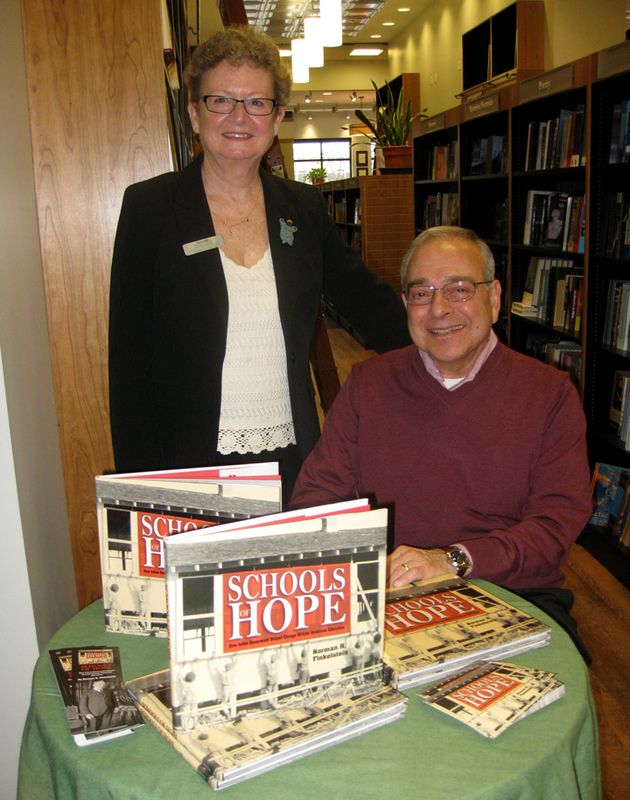 And while you’re at it, pick up a copy of Schools of Hope. We promise you won’t regret it.